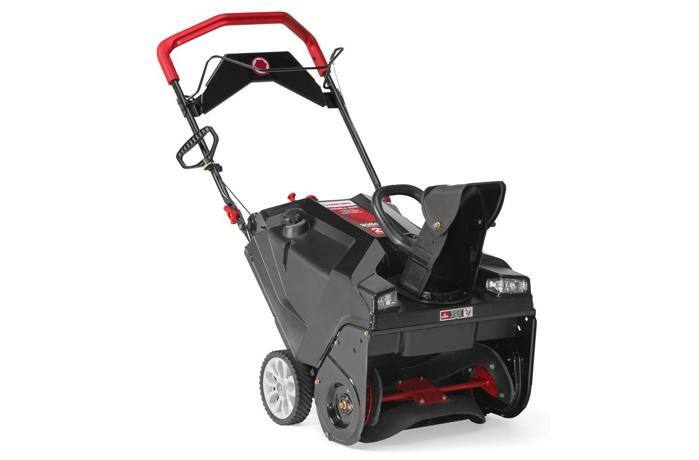 The Squall 208EX snow thrower is a light weight, single-stage snow thrower best used for clearing snowfall up to 6 inches deep. The Deluxe Ergonomic Handle improves comfort and maneuverability while and the E-Z Chute™ lets you adjust the direction of snow discharge up to 190 degrees. Dual-LED headlights provide added visibility in low-light conditions. 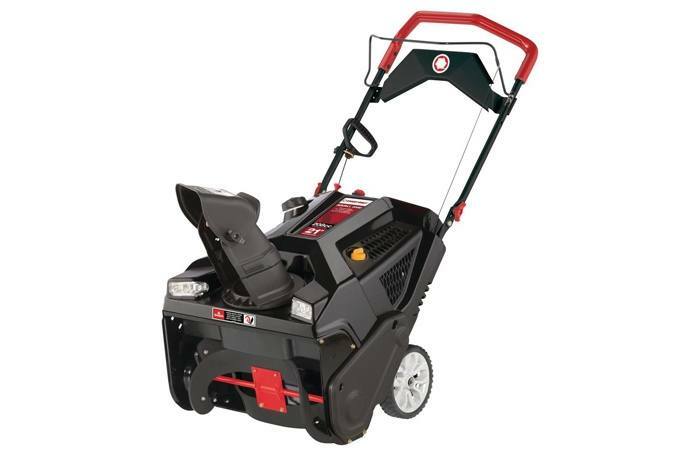 No need to mix oil and gas with the 4-cycle 208cc electric start OHV Troy-Bilt® engine. E-Z Chute™ Control: The E-Z Chute™ with manual pitch control lets you adjust the direction of snow discharge up to 190°.